Rental City | You did it! Home / Individual Store Locations / Huntsville / You did it! Last month our Huntsville location took part in helping give back to the community by donating our processing fees for the month. 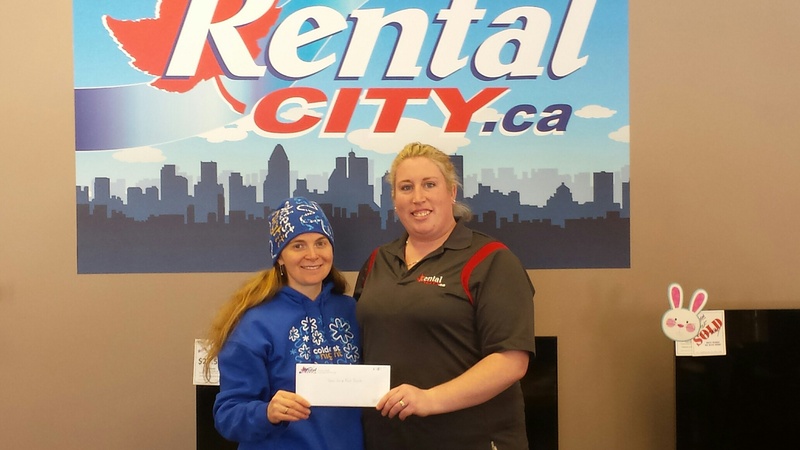 We are pleased to present Heather Berg, founder of The Table Soup Kitchen with a cheque for $350.00 . Pictured: Heather Berg & Brodie Baumhour, Rental City Huntsville store manager.